Finally it has happened! 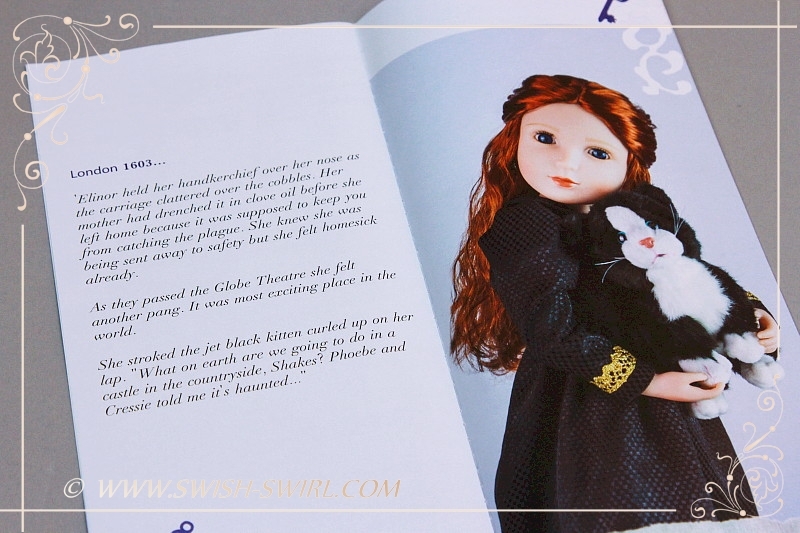 The doll we’ve been all waiting for – Elinor from A Girl for All Time – has finally arrived! To the utter excitement of us, the fans of these amazing dolls, and of many girls across the world. 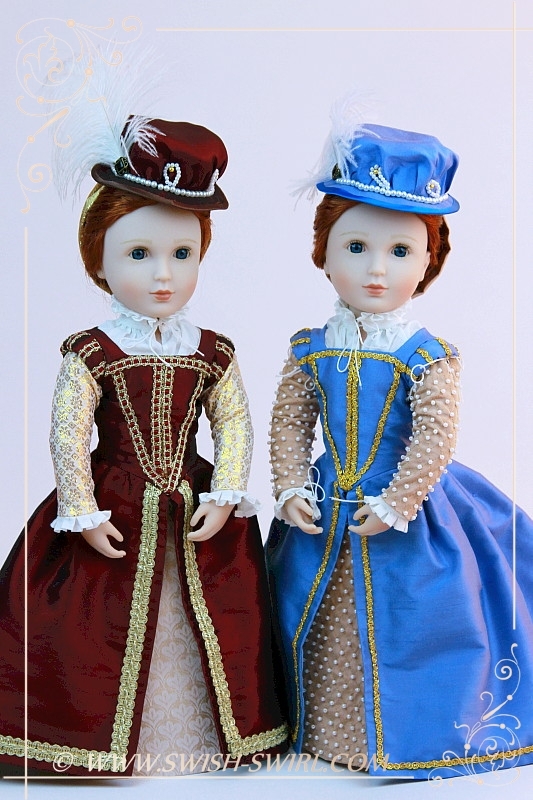 For those, who haven’t discovered these gorgeous dolls yet, I will remind that these are British dolls. 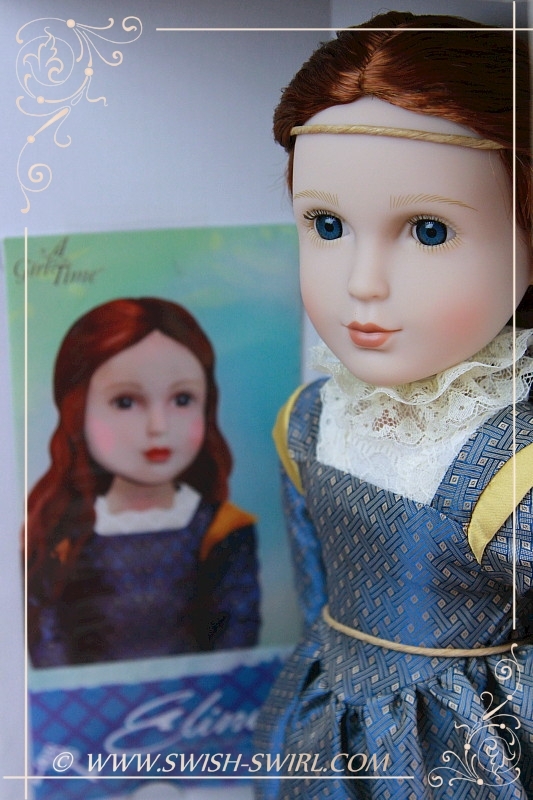 Each doll represents a particular period in English history. 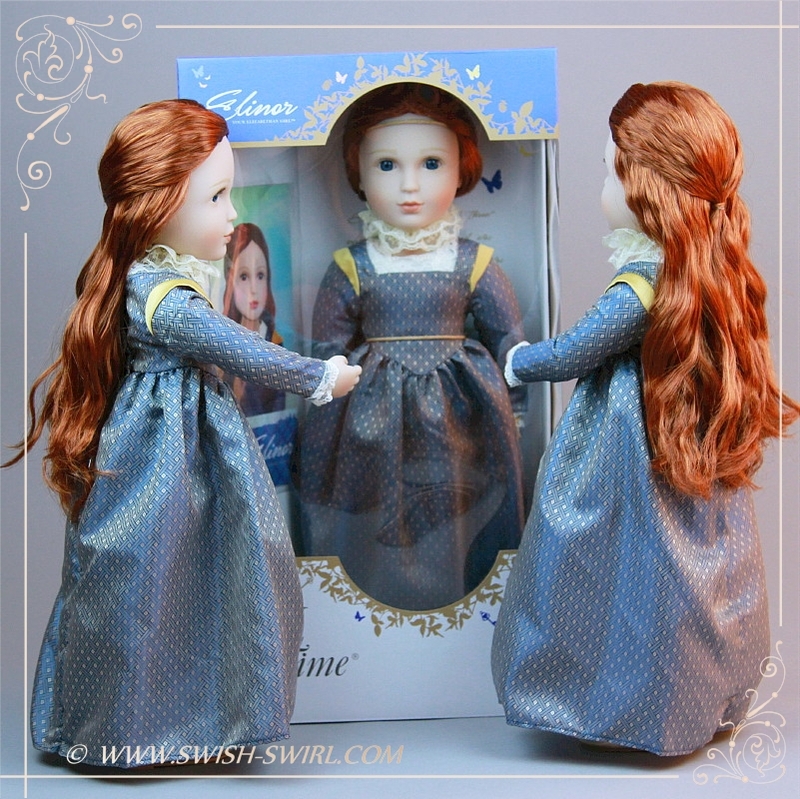 And that’s the beauty of it: this company really encourages intelligent play, as these dolls are both beautiful and educational. They also particularly appeal to older girls (and adults, too, of course! 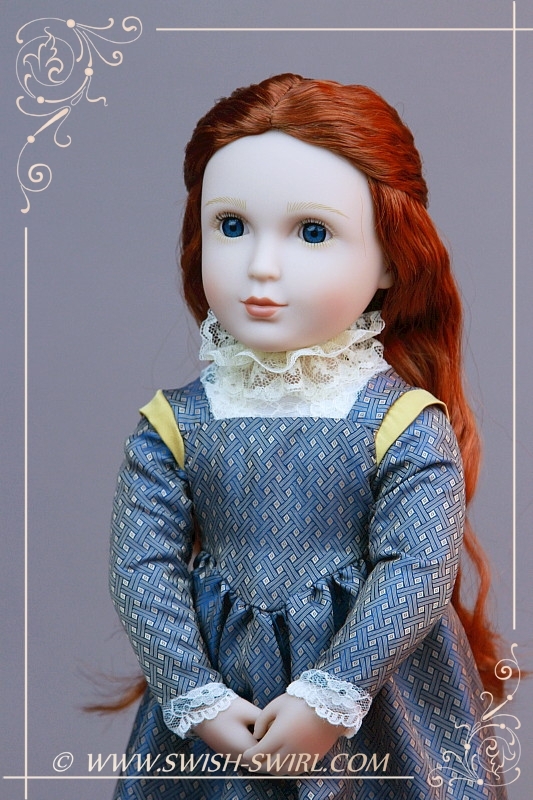 ), because they are not 9-year-olds like, say, American Girl dolls, but are older themselves, being 12-13 years of age in the beginning of their stories. 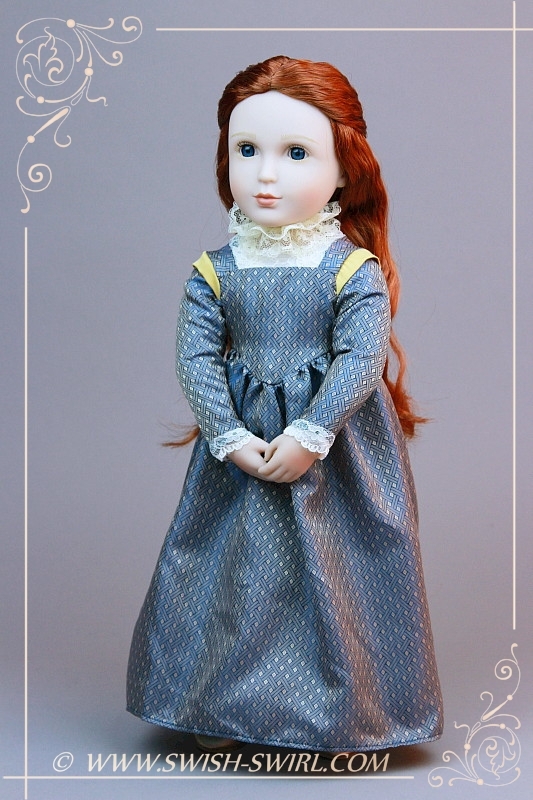 There are currently 6 dolls in the historical line: Matilda, Lydia, Amelia, Clementine, Sam and now also Elinor. 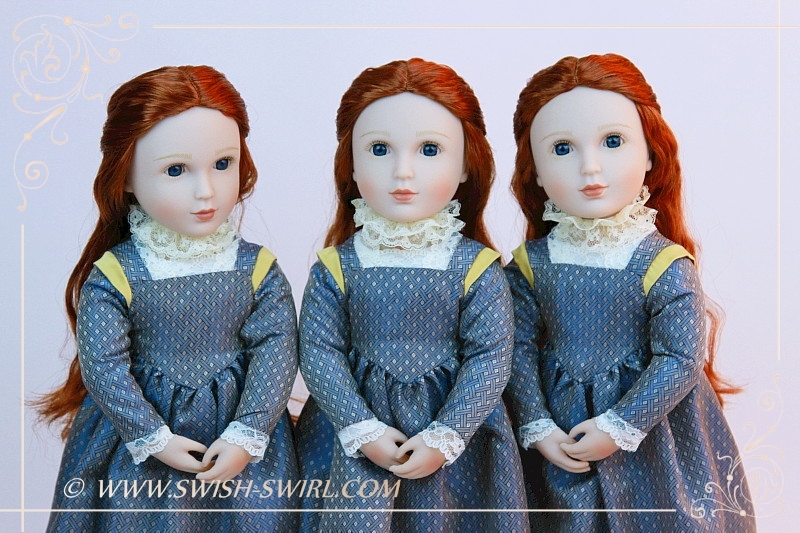 Matilda is a 13-year-old Tudor girl from 1540, Lydia is a 12-year-old Georgian girl from 1760, Amelia is a 12-year-old Victorian girl from 1880, Clementine is a 12-year-old girl from the 1940s (WWII), Sam is a 12-year-old girl from the 1960s. And Elinor? Well, we’ll talk about her a bit later! 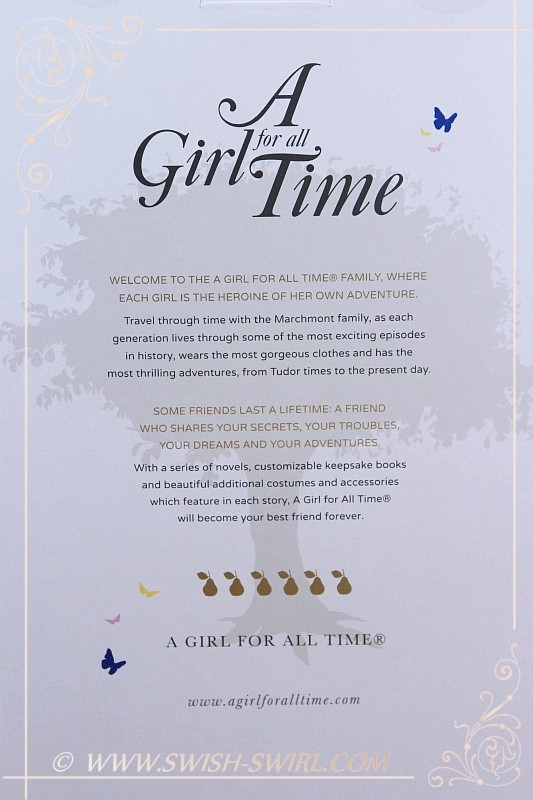 There are also 3 Modern girls in the A Girl for All Time family now – I should really write reviews about them, too – I have them all! The first of them – Maya – is Matilda’s descendant. And there are two more girls who are Maya’s friends – Nisha and Bex. 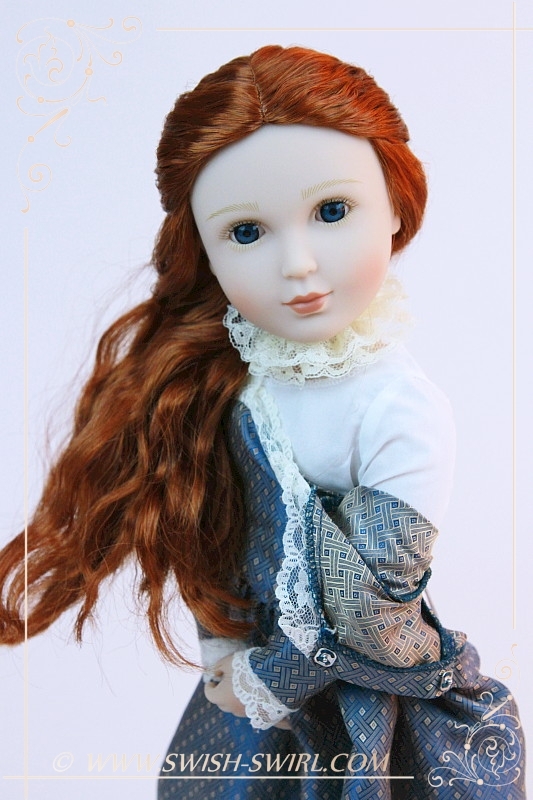 Each doll comes with her own story. At the moment only books about Matilda, Amelia and Clementine are available and they are extremely engrossing. My daughters love them. It’s no wonder they are so entertaining (AND educational at the same time, because they don’t soften the real history, there are a few – sometimes pretty horrible – things even I didn’t know! ), for the author of the books is none other than a well-known screen-writer Sandra Goldbacher (for example, she adapted Noel Streatfeild’s Ballet Shoes for a recent BBC film with Emma Watson, directed a few episodes of Victoria, Endeavour, Ordeal by Innocence series, etc.!). 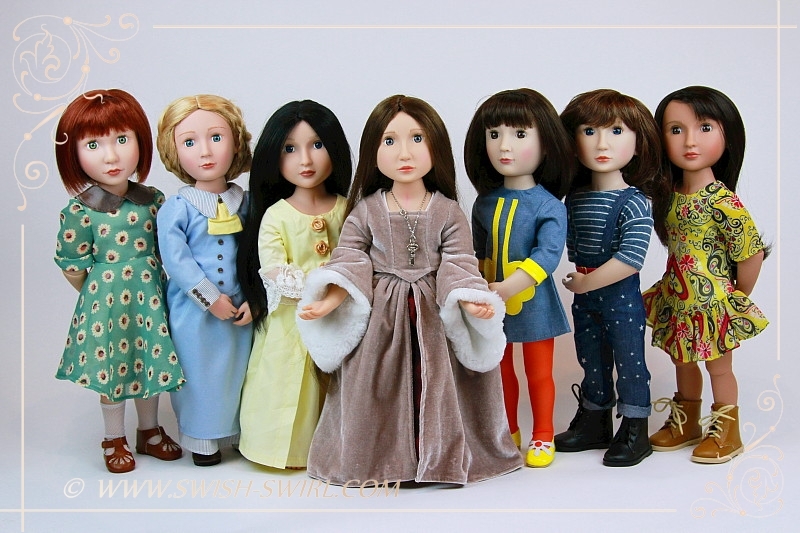 By the way, in case you would like to learn more about these dolls, I have written reviews about the other historical dolls before: Matilda, Lydia, Amelia, Clementine and Sam. 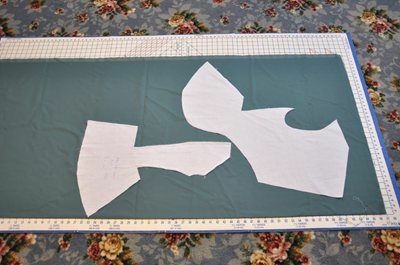 Now, to Elinor! 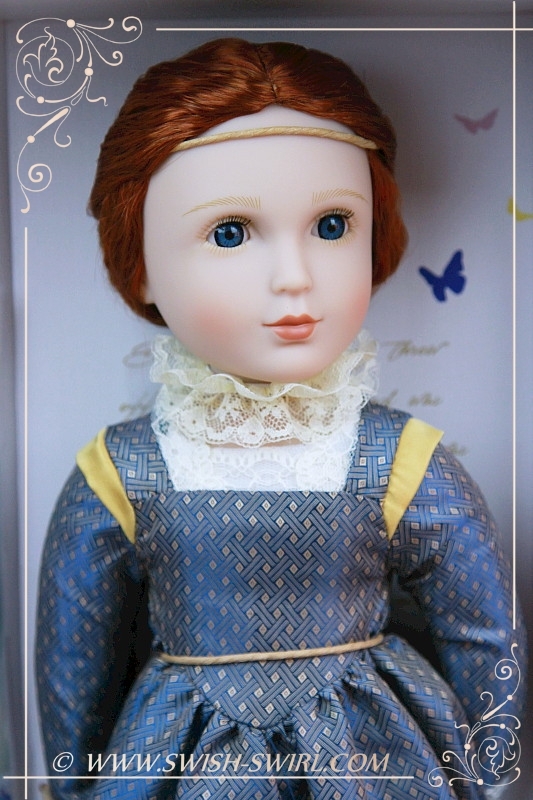 Elinor is an Elizabethan girl from 1603 (which, most likely means, she was born in around 1590) and she is Matilda’s great-granddaughter. I have ordered not one, not even two, but THREE Elinors! Her face is so amazing that I simply couldn’t resist. Especially since I had the privilege of seeing her in person at 3 London Toy Fairs in 2016-2018. 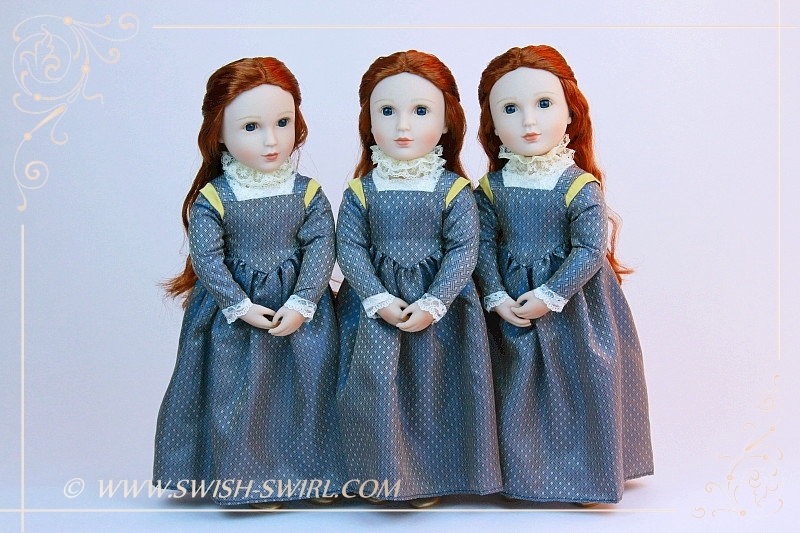 I’ve said it before but it’s really amazing that these three dolls, while being the same, are again very different – I can tell them apart without difficulty! 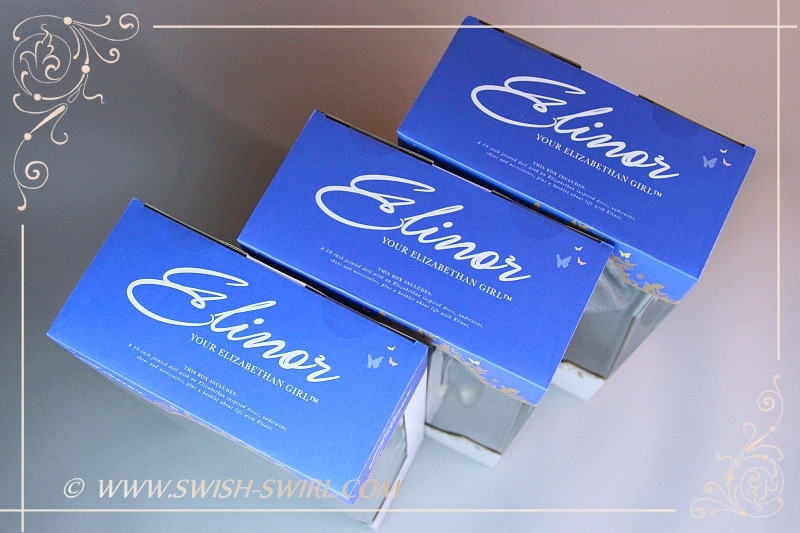 Elinor arrives in a gorgeous blue see-through box which is tastefully and elegantly decorated. 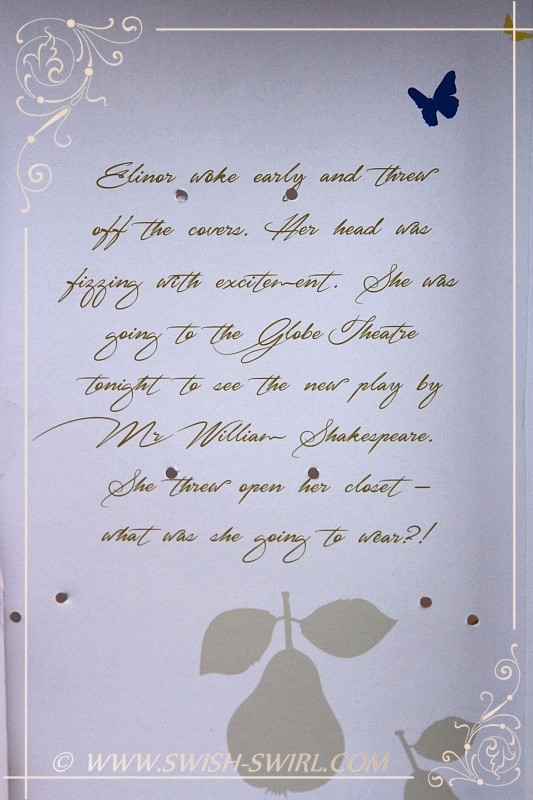 The colour and the design of the box matches Elinor’s dress and her eyes! It’s truly beautiful. 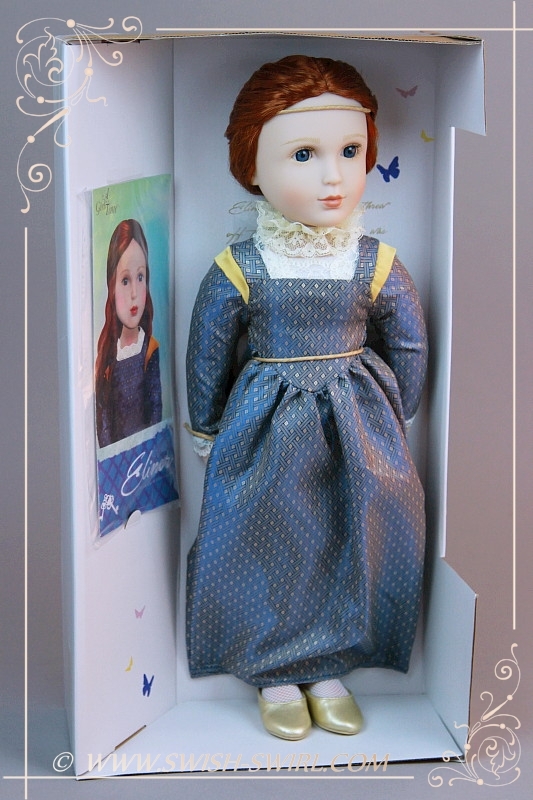 Elinor is very safely secured inside so there is no chance she would get damaged in shipping. 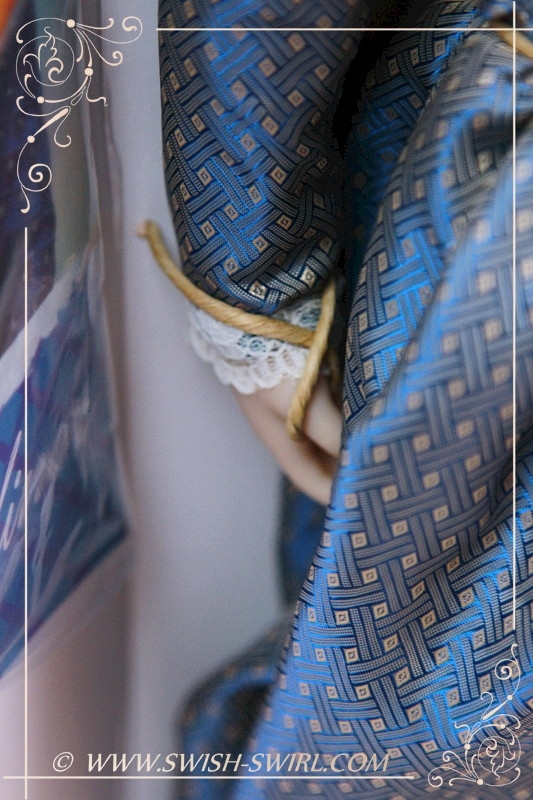 And I just love the new way in which the dolls are attached in their boxes. 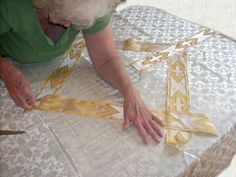 It’s paper ties which don’t damage the vinyl and are very easy to remove. 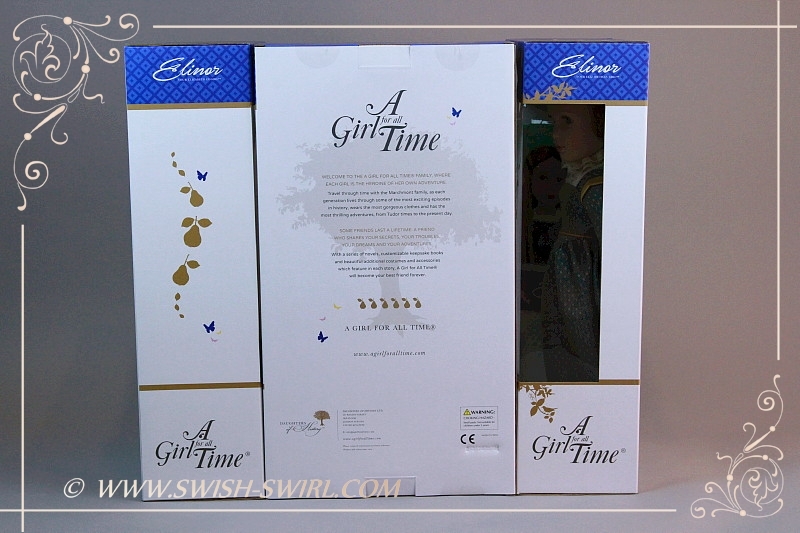 Inside the box there is a usual brochure about the AGAT dolls and an extract from the future book which becomes visible once the doll is released. 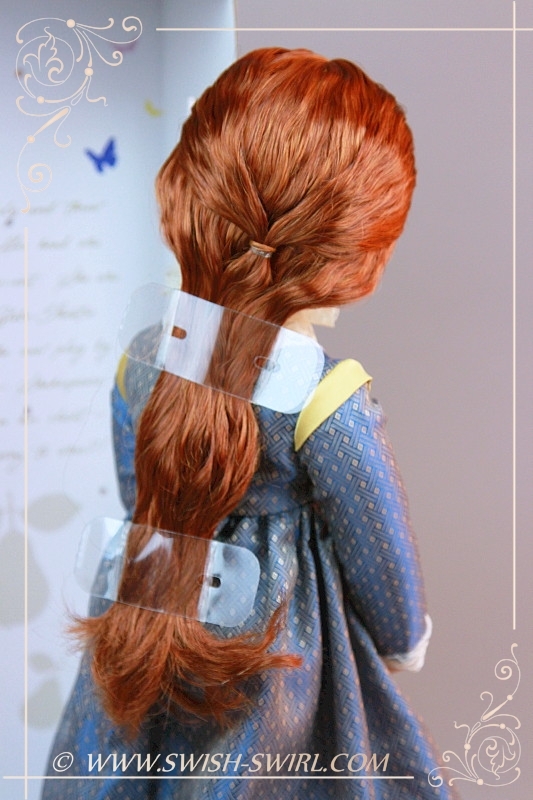 Here is what Elinor’s hair looks like straight out of the box. 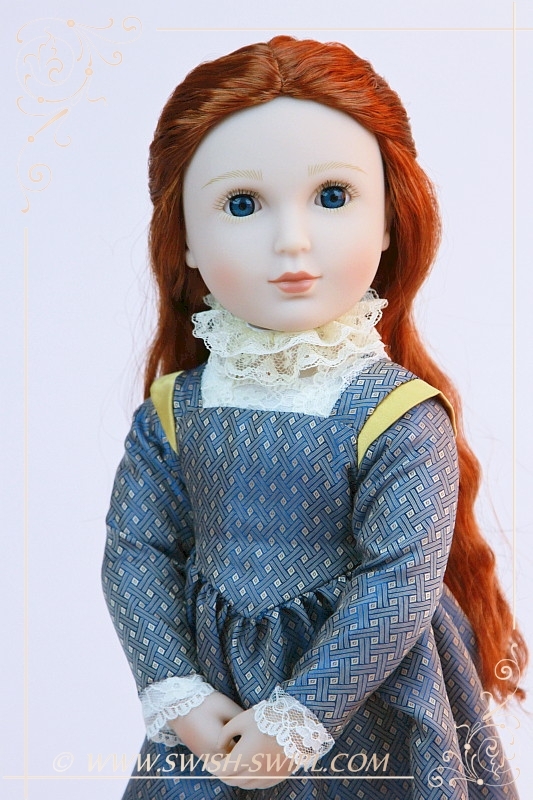 And here she is, gorgeous Elinor! 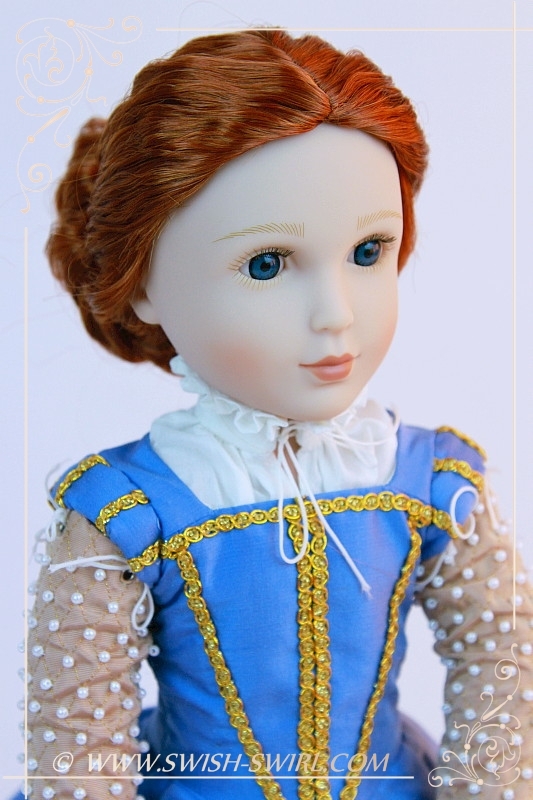 She has deep blue eyes and wavy red hair – a perfect Elizabethan beauty. 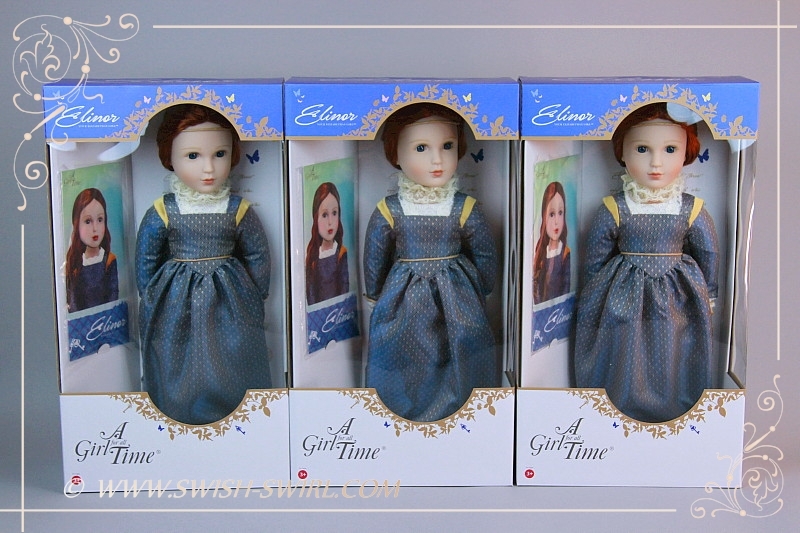 Just like the other girls in the A Girl for All Time family, Elinor is 16 inch / 41 cm tall and has jointed elbows and knees which help her pose more naturally. 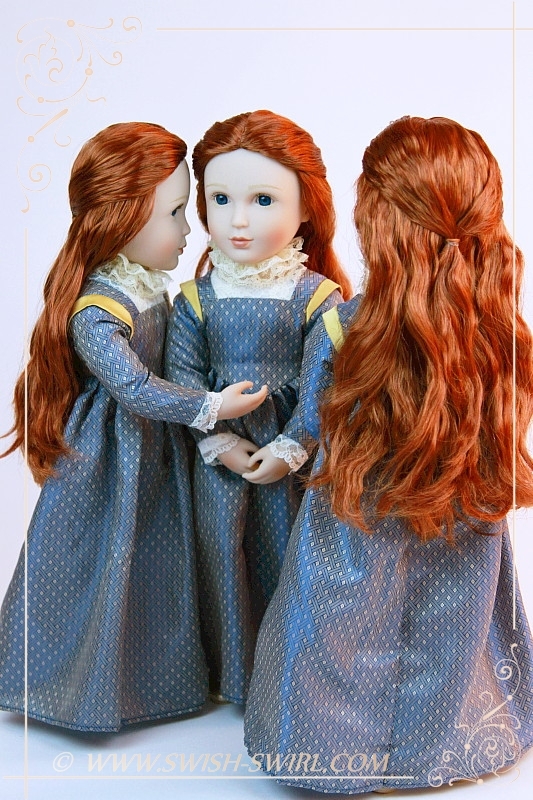 They don’t have the poseability of a BJD but it wasn’t the aim for these dolls. Their arms can turn around for more natural poses and can bend at about 90 degrees – she can cover her face and eyes with her hands, for example. 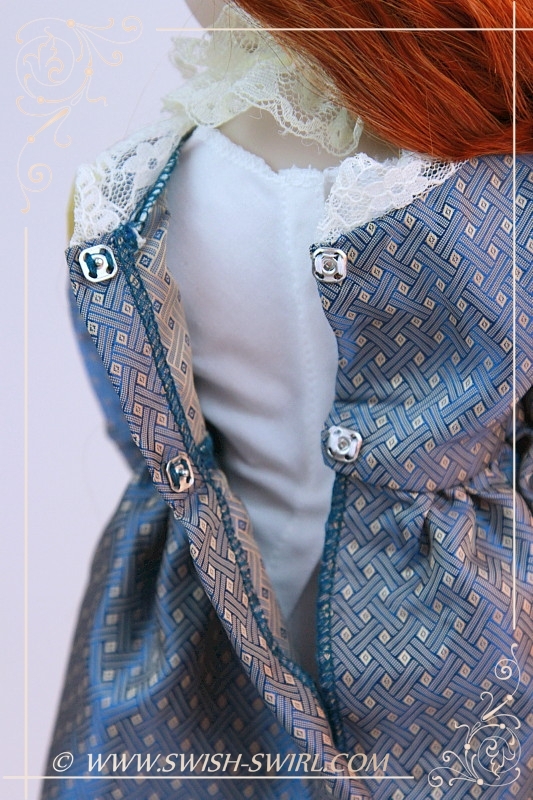 The knee joints don’t bend that much but legs can also be turned around, so the doll looks pretty natural when she sits. I also love Elinor’s vinyl. It has a porcelain look, a velvety feel and the colour is lovely. It’s a bit lighter than that of Matilda, Lydia, Amelia and Clem and is similar to Sam’s (and Maya’s) colour. 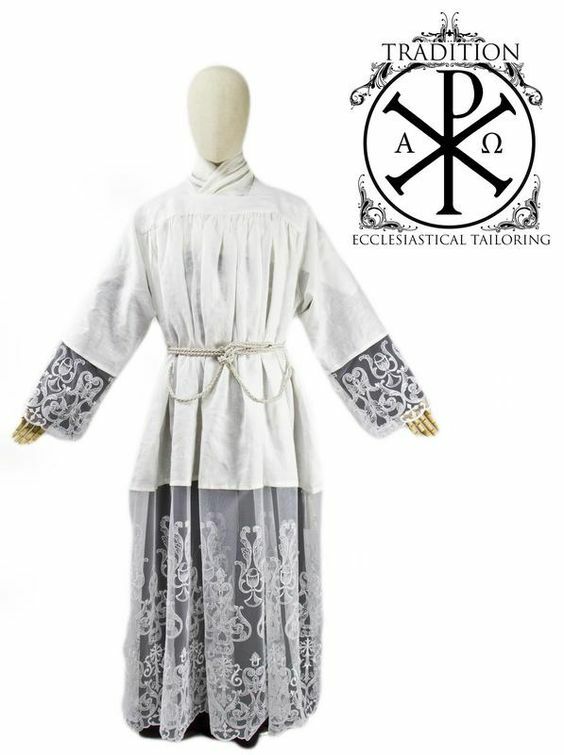 It’s just perfect for an Elizabethan girl! 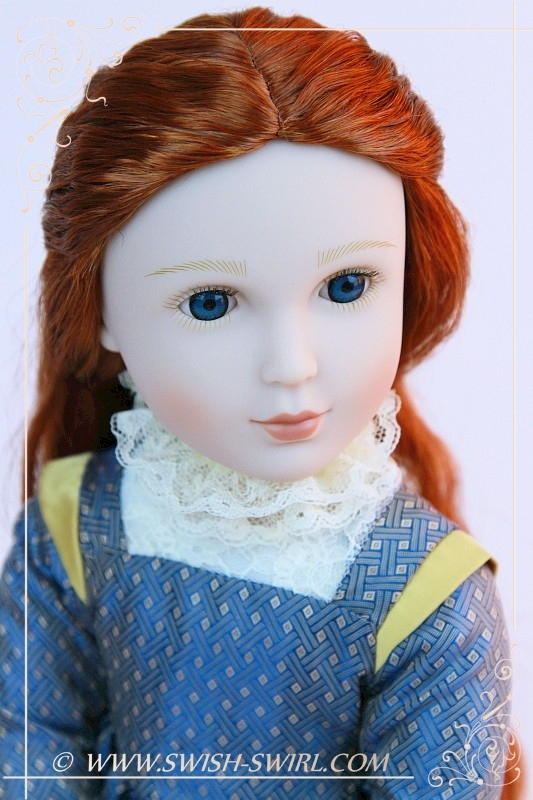 Elinor has the most gorgeous deep blue eyes (dark, but lighter than Lydia’s). They are fixed eyes (that is, they do not close). 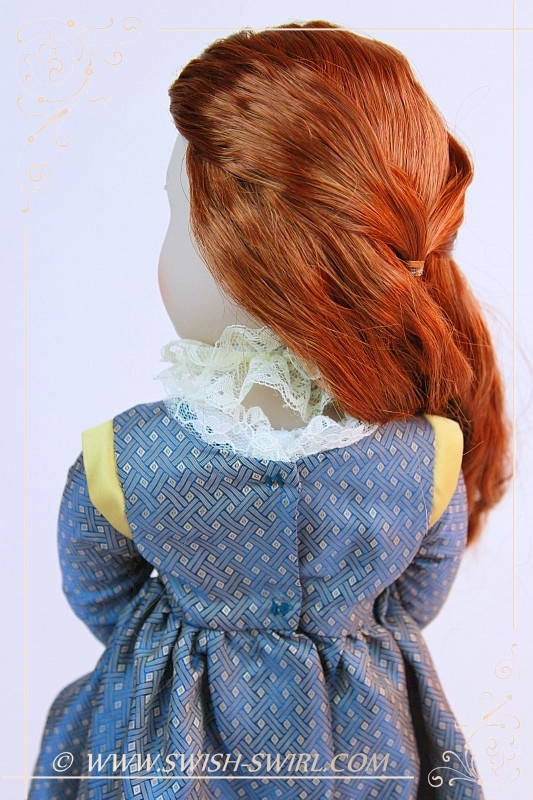 Her hair is wigged and it is truly beautiful – wavy and long. It’s red but it actually has three different shades of red to give it a more natural look. Elinor’s outfit deserves special mentioning. 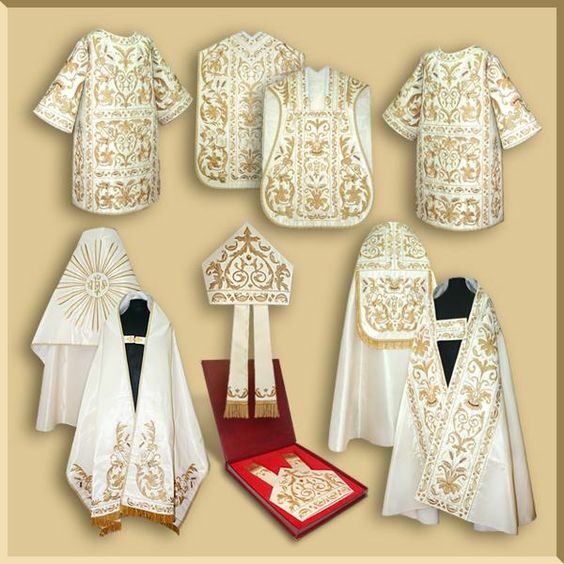 It’s beautiful and the fabric is just exquisite! 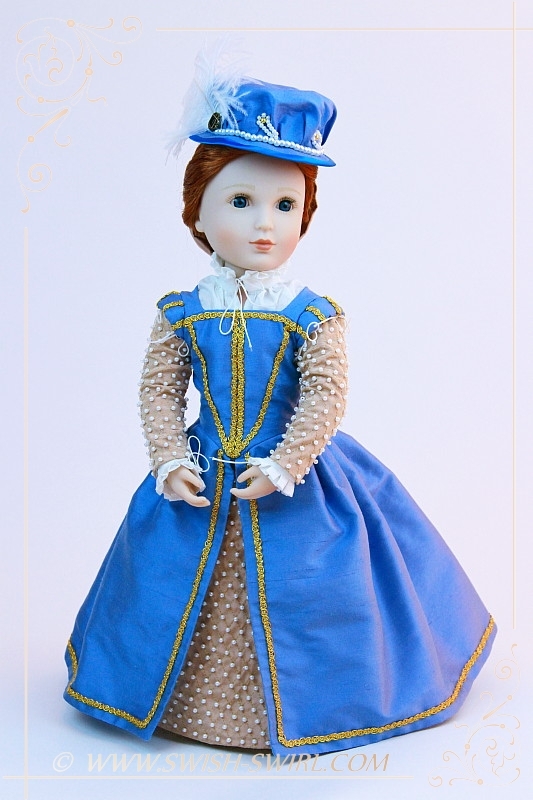 It was designed by Shari from Thimbles and Acorns and it has true Elizabethan feel about it. 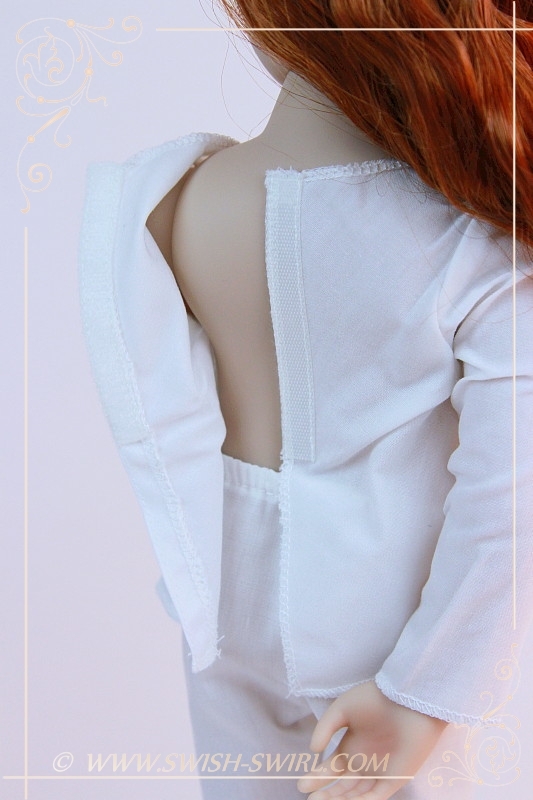 The dress has lace cuffs and lace around the neckline. 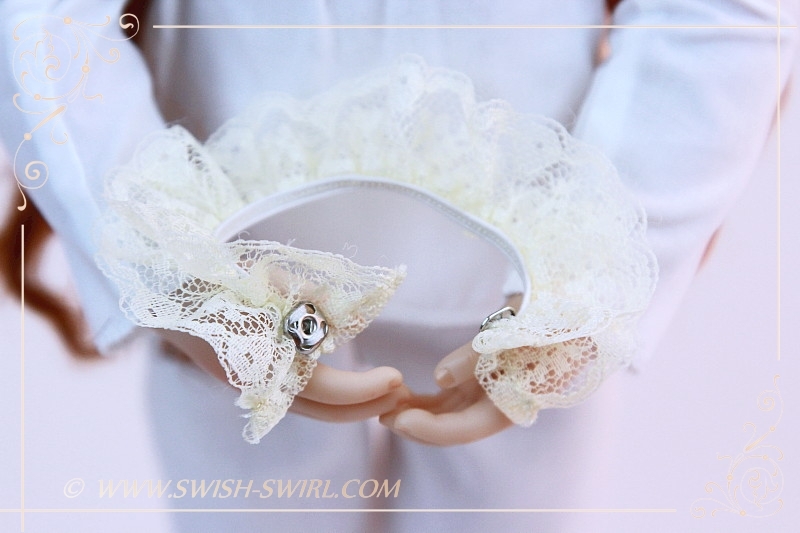 It also comes with a separate neck ruff which is a piece of lace gathered with a piece of elastic. It fastens with a snap. 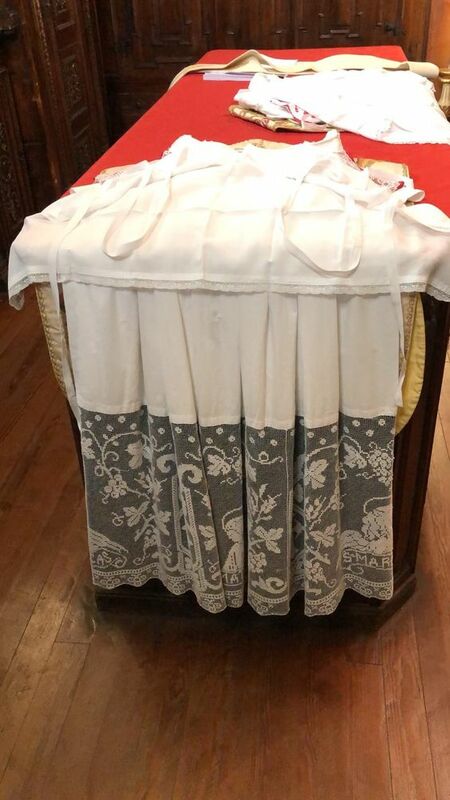 The dress closes at the back with snaps. 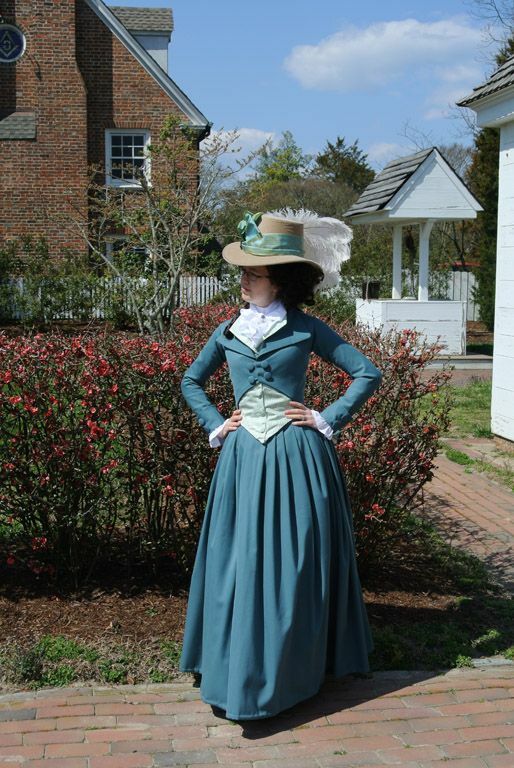 Underneath the dress there are a cotton shift and pantaloons. 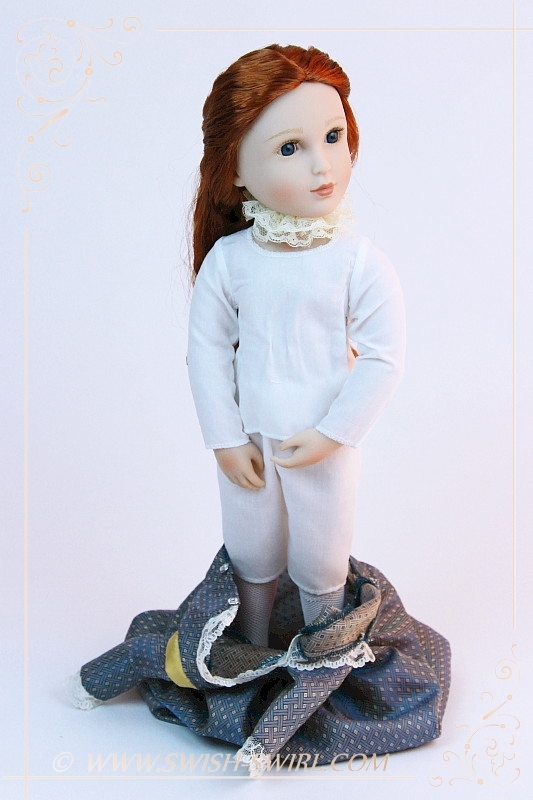 Of course, ladies didn’t wear any pantaloons or drawers until the Regency era but girls like their dolls to have proper underwear so here it is! 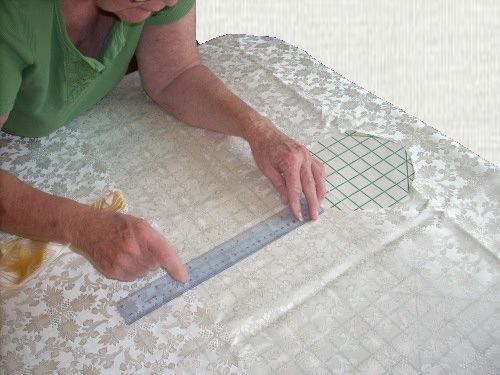 The shift closes at the back with velcro. Gorgeous golden faux leather slippers and white socks complete the outfit. 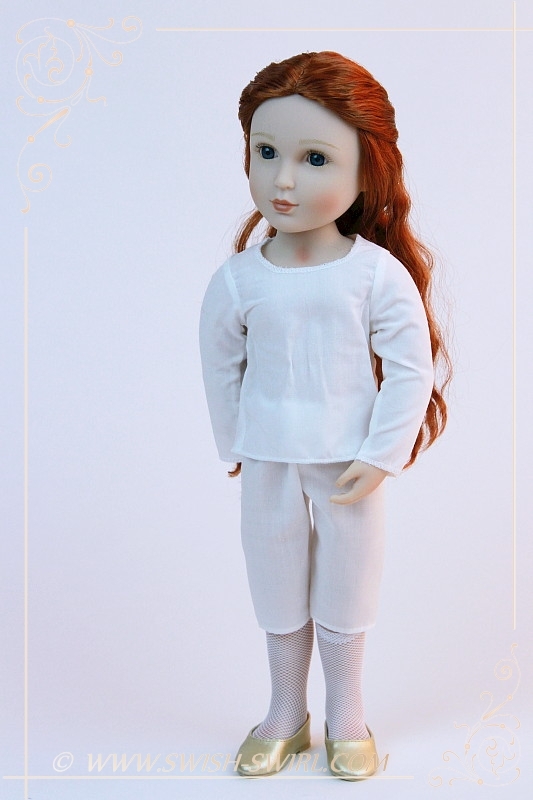 A bonus: Elinor dressed in my Lettice Knollys gown. Isn’t she just insanely beautiful!! So, as everyone can see, Elinor is undeniably gorgeous. 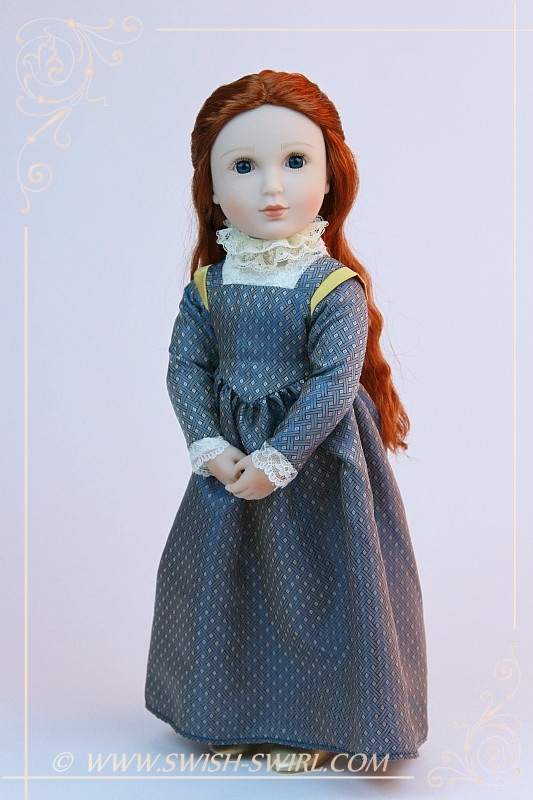 She is now my favourite doll along with my all time favourites Matilda and Lydia. Yet another success for A Girl for All Time creators and Frances in particular!! WELL DONE!! PS. 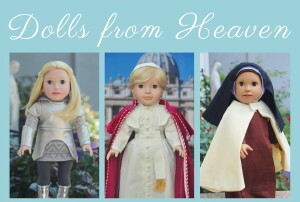 These dolls can be easily purchased from either the UK shop or the US one. 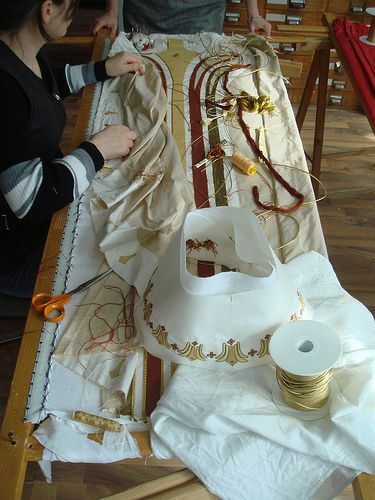 International delivery is available from the UK and is very efficient. The company also has a Facebook page. 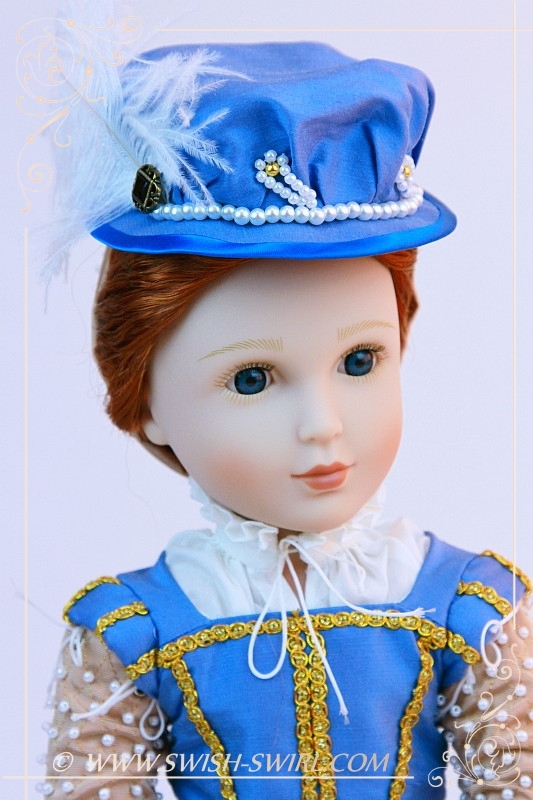 And everyone is welcome to come and share their love for AGAT dolls in the Facebook Fan Group. Elinor is a thing of beauty! But why 3 Elinors? Gorgeous and a great review too! 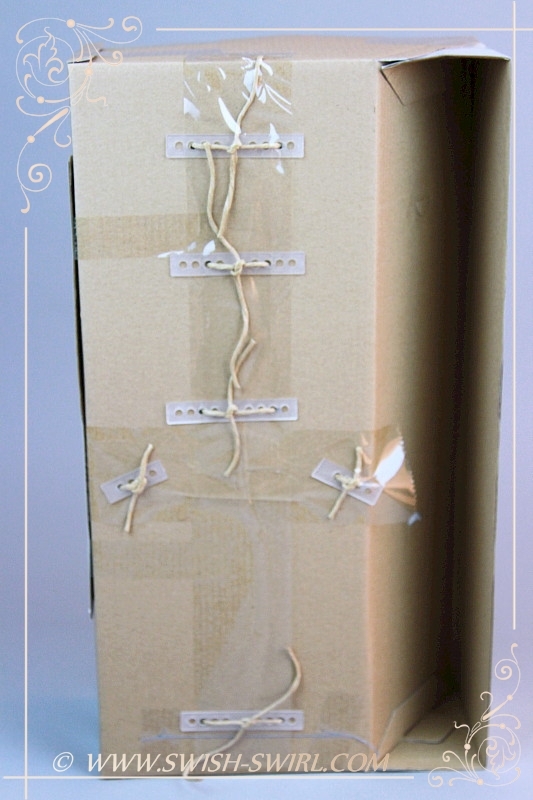 I love how she is fixed in her box with twine and not plastic ties; much more ecofriendly! Фрагмент из книги очень даже завлекательный)) В частности тем, что своего котенка Элинор назвала в честь Шекспира.